GALLIPOLIS — Dr. Christopher Meyer has been terminated as chief executive officer by the Holzer Health System Board of Directors, the Daily Tribune has learned. Meyer was reportedly terminated last Friday, according to multiple sources with knowledge of the situation. Dr. Michael Canady is reportedly taking over as interim CEO, according to sources. Canady’s LinkedIn page currently states he is chief medical officer, a position he obtained Jan. 1, 2015, when Meyer was elevated to CEO. Meyer was named hospital CEO and chairman of the Board of Governors on Jan. 1, 2015. He replaced Dr. T. Wayne Munro, who retired Dec. 31, 2014. “The health care atmosphere is an ever-changing environment. I look forward to the future and am pleased to be a part of Holzer’s journey,” Meyer told the Daily Tribune for a story published Jan. 1, 2015. Meyer oversaw the implementation of several programs and initiatives, including quicker emergency room service; low-dose CT scans to detect early signs of lung cancer; and a physician training program, in which students at Ohio University’s Heritage College of Osteopathic Medicine and West Virginia School of Osteopathic Medicine train in the medical field with existing Holzer staff. Meyers’ administration also faced some tough situations during his 21 months on the job, most notably in October 2015, when Holzer announced a reduction of about 100 jobs system-wide at its locations throughout southern Ohio and West Virginia. Holzer officials, at the time, cited the Patient Protection and the Affordable Care Act as a driving force that “resulted in dramatic change in healthcare service delivery models.” They noted that inpatient volumes are shrinking while outpatient services are on the rise. Meyer began his career with Holzer in 2001 and has also served as medical site director of both Holzer’s Athens and Jackson facilities. 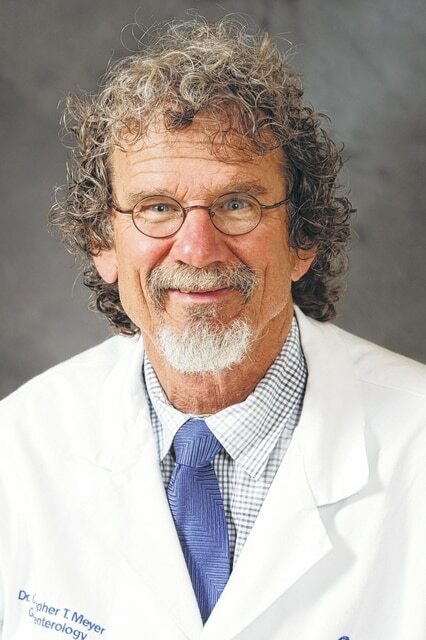 During his tenure with Holzer Health System, he is credited with the development of a 70,000-square foot, full-service, multi-specialty health care facility serving Athens; establishment of the Holzer Graduate Medical Education and Residency programs; and expansion of needed health care services throughout the medically underserved southern Ohio region. A graduate of Des Moines University College of Medicine in Des Moines, Iowa, Meyer completed his residency at Michigan State University Statewide Campus System. He completed a gastroenterology fellowship at Yale University School of Medicine in New Haven, Conn. He is board certified by the American Osteopathic Board of Internal Medicine and holds a Masters in Public Administration from the University of Michigan. According to Canady’s profile on LinkedIn, he has also served as medical director of surgical services (August 2012-December 2014), chairman of Holzer’s Department of Surgery (September 1996-December 2007, staff surgeon at Naval Hospital Camp Lejeune, N.C. (July 1991-June 1995), and surgical resident at Good Samaritan Hospital in Cincinnati (July 1985-June 1991). Canady’s LinkedIn profile also states he earned his Bachelor of Science in Mathematics and Molecular Biology in 1981 from Vanderbilt University; a Doctor of Medicine (M.D.) in 1985 from Wake Forest University School of Medicine; and a Master of Business Administration in 2001 from Ohio University.